Puerto Rico is being buried under $70 billion of debt and is in danger of default. This fiscal meltdown has shifted all aspects of life on the island; leading to slashes in the public sector, skyrocketing unemployment, and massive migration from the island to the United States mainland. 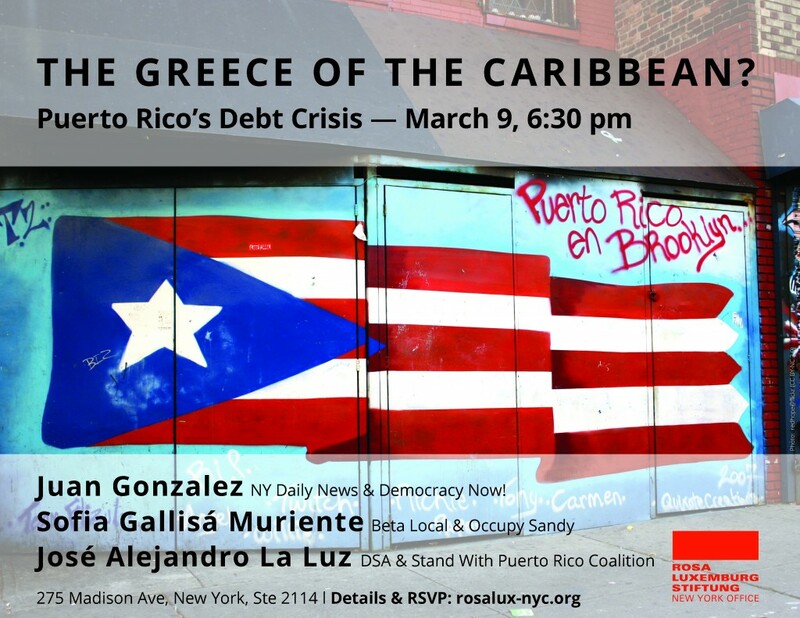 The toxic cocktail of austerity, debt, and lack of democratic governance has led Puerto Rico to be called “the Greece of the Caribbean,” after the Mediterranean country which recently went through its own struggle against the infamous Troika of debt collectors. 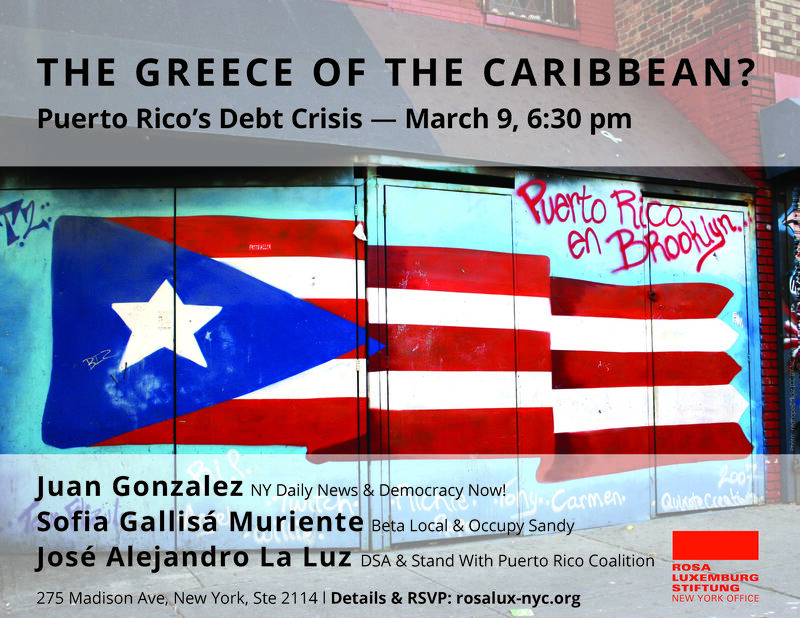 As the crisis deepens, social movements on the mainland and on the island are looking for solutions that go beyond calls for “fiscal responsibility.” What does the current crisis have to teach us about Puerto Rico’s relationship to the United States federal government? What led to this level of indebtedness, and who stands to profit from it? This public roundtable will answer these and other questions in a call to action for progressive alternatives. Juan Gonzalez, Columnist NY Daily News, Co-Host Democracy Now! Not in NYC? You can also be part of the conversation… by watching the live broadcast on YouTube and subscribe!